Aisha Buhari and Mrs Osibanjo. 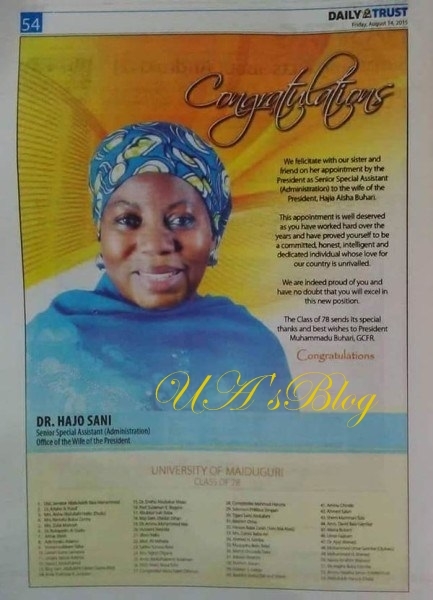 President Muhammadu Buhari has ignored his own promises not to recognize the office of the Wife of the President and that of the Vice President as he appoints aides for her. 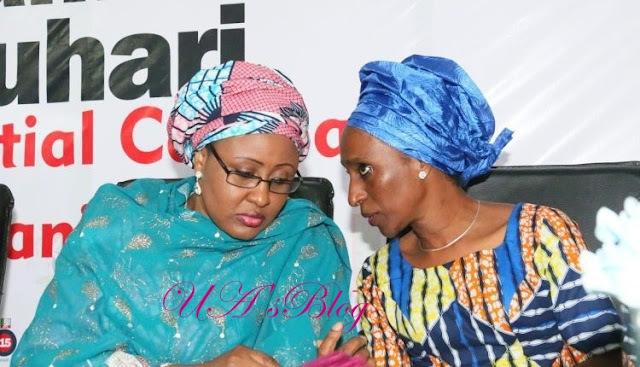 The Muhammadu Buhari-led federal government has appointed several aides for the “Offices of the Wife of the President” and that of the Vice President’s wife, despite his promise to scrap the offices. 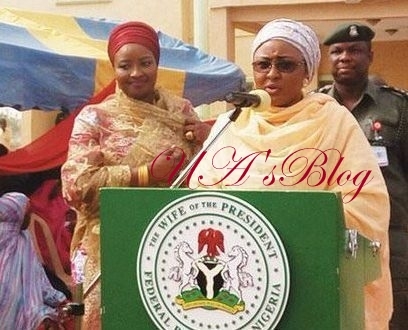 Aisha Buhari as she delivers speech using a lectern with her official seal. In August, 2015, Punch reported [though the web page is no longer available] that the president’s wife has been operating from the Office of the First Lady located inside the Presidential Villa, Abuja. The paper further reported that asides the title preference, nothing significant has changed from the previous administration. Just as under her predecessor, Aisha’s office is occupied by staff members, aides, security details and protocol officials, attached to her.